I like to eat ice cream. Yummy! My favourite flavour is dulce de leche with chocolate chips. I prefer ice cream in cones. I like to eat ice cream all the year. 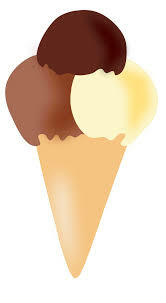 I like to eat ice cream because it is cold. This entry was posted in 2014, ICE CREAMS, Sofi, Students 2014, Writings. Bookmark the permalink. i love your writing sofi ¡¡¡yummy!! !